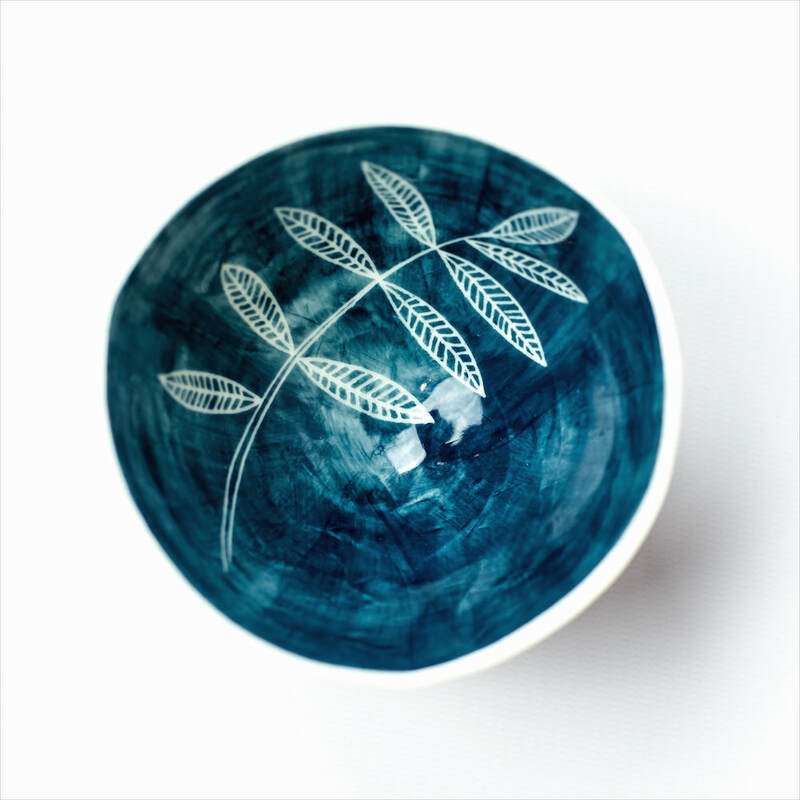 ​Charlotte studied ceramics for five years before setting up her studio just outside Masham from which she has been designing and making her unique functional ceramics since 2010. 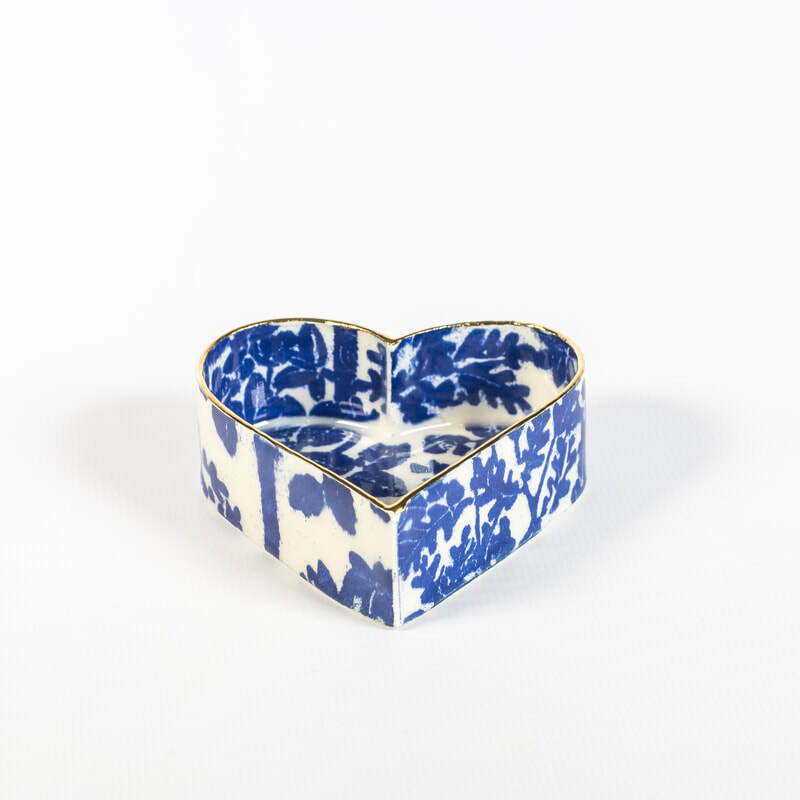 Charlotte works mainly with porcelain, and uses slab building and slip casting methods, before glazing and applying textures and patterns to her work by hand. These time consuming methods mean that every single piece of Charlotte's work is unique. 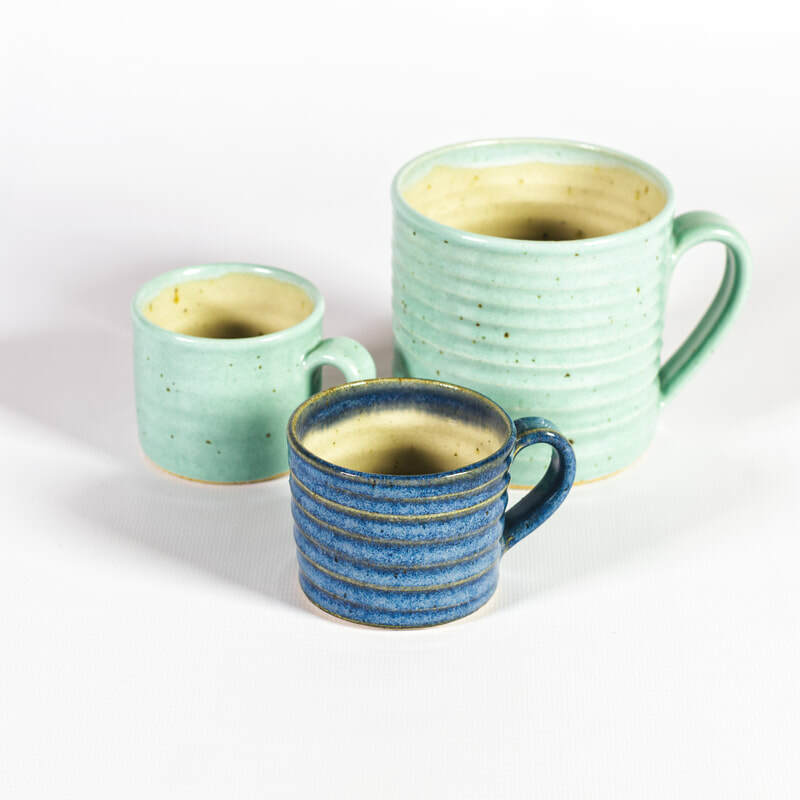 Much of her work is inspired by vintage design, incorporating the text, colours and patterns of 50's packaging into mugs, vases and clocks. 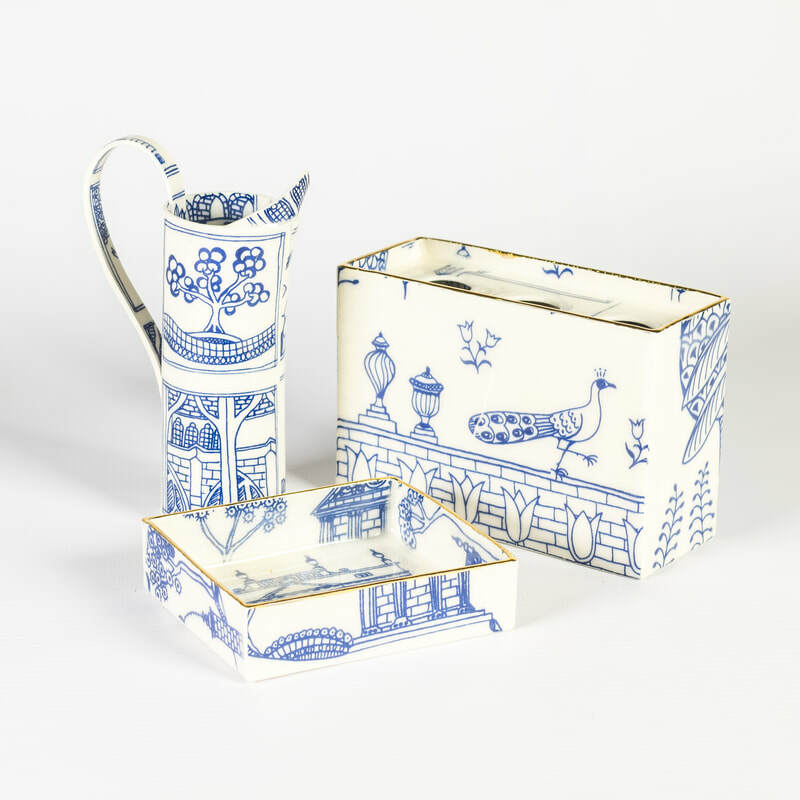 Her most recent collection takes inspiration from maps and their symbols, and the ancient routes across the dales and moors around Charlotte's home. 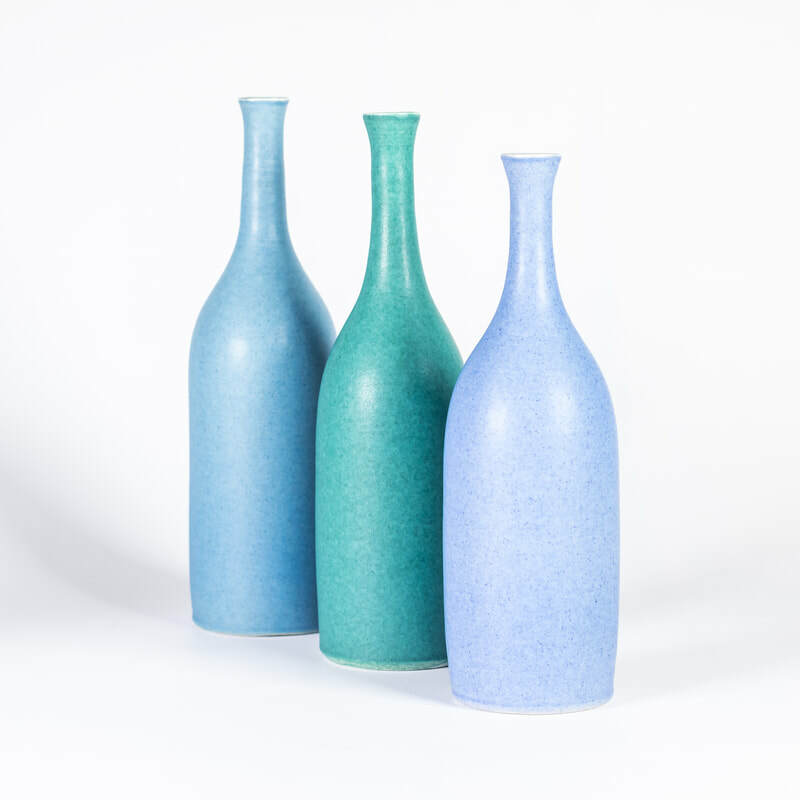 "My ceramic work is both decorative and functional: simple, wheel-thrown vessels (bottles, bowls, vases and jugs) which are useful but also have a sculptural, still-life appearance when grouped together. 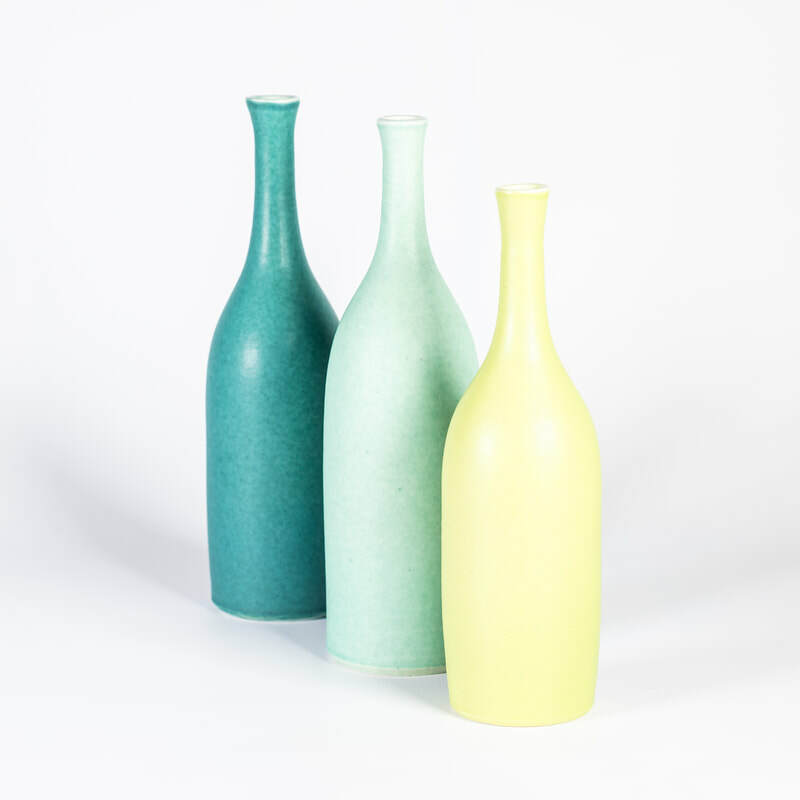 I'm inspired by Giorgio Morandi's paintings, and I want my work to have a similar sense of quiet harmony of form and colour." 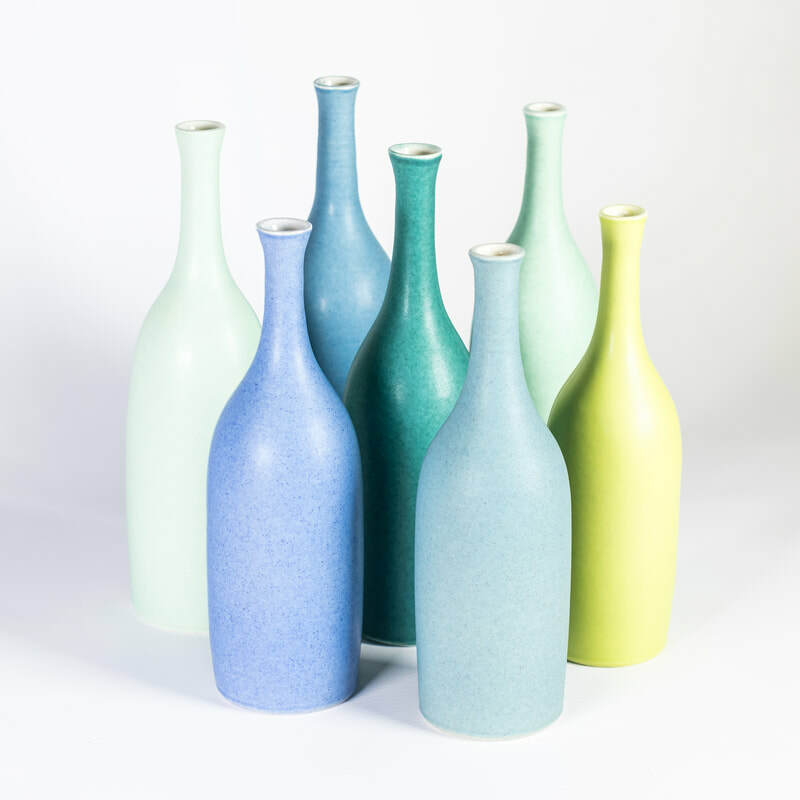 We have a range of Lucy's bowls, bottles and vessels. 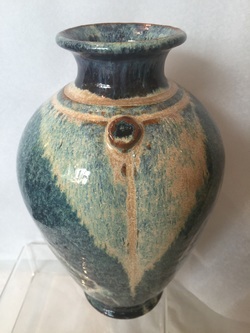 Andrew M. Harding and Michael Palmer met in 1977 at Cleveland College of Art it was here that they were introduced to clay and realised ceramics was the path to follow, finding great excitement in the versatility of the medium especially when thrown on the wheel. 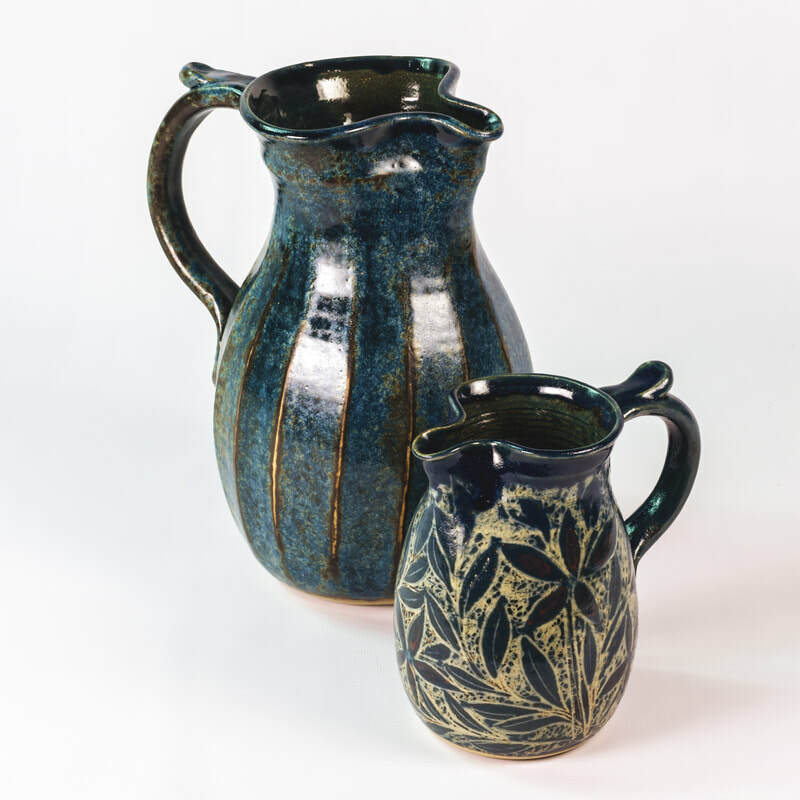 After college Andrew served his apprenticeship at Bill Woods Pottery for six years and Michael did four years at Oak Tree Pottery where he met Matt Jobling. 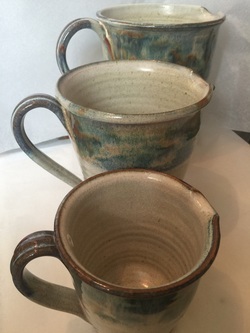 Following the closure of both potteries the three of them started Northumbrian Craft Pottery in 1986 in what was originally an old pit building in Backworth North Tyneside. Today Andrew carries on the pottery following the untimely death of Michael. 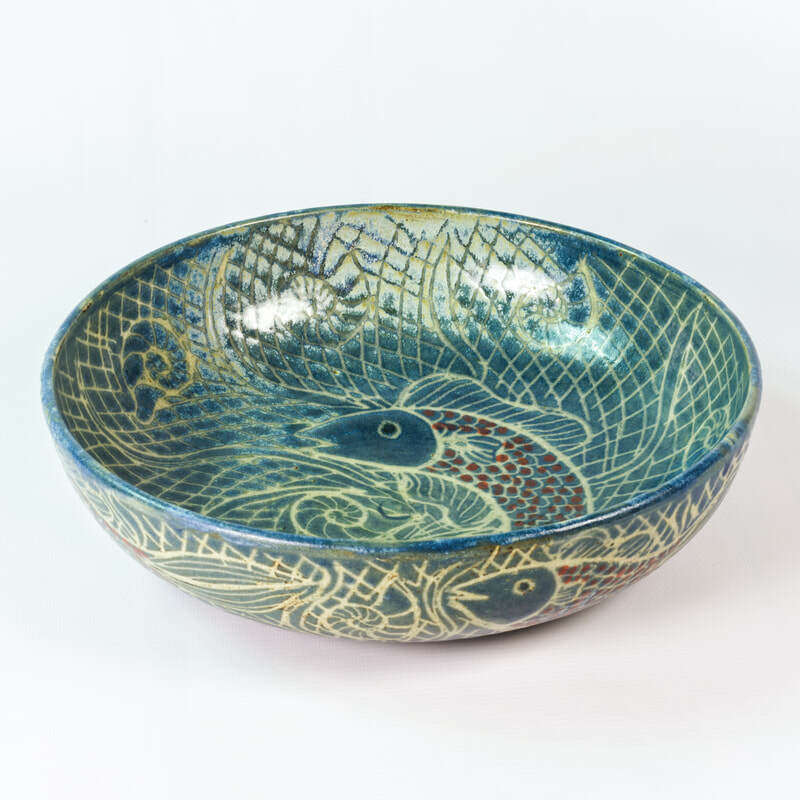 ​Please come in to buy Northumbria Craft Pottery's work. The price range is £8 - £65. 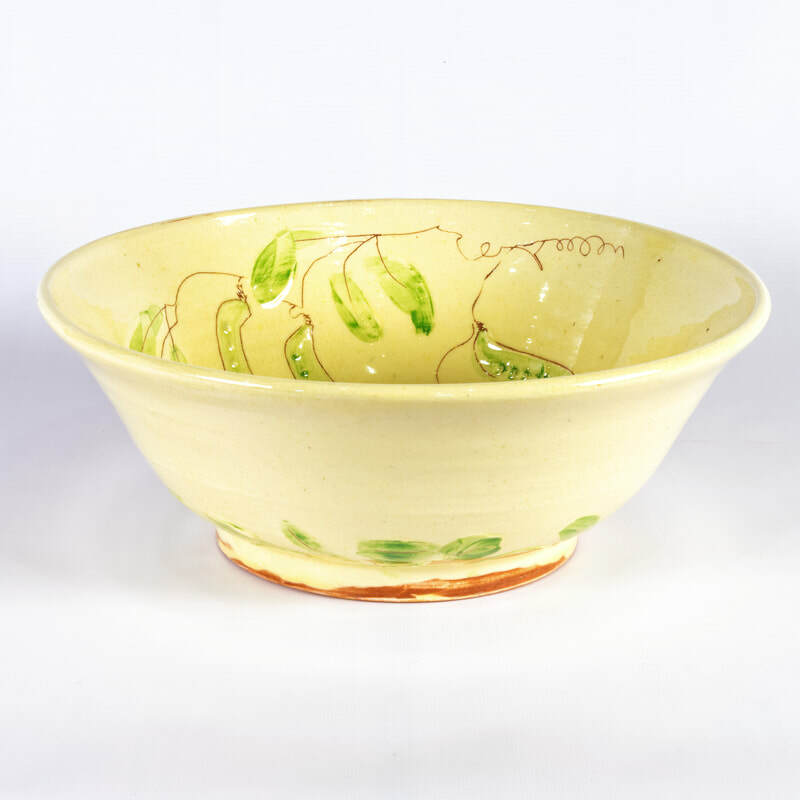 Janine completed a Design and Craft National Diploma at Bath University and continued her studies to gain a first class honours degree in ceramics in2008. She now works from a small studio in her home town of Bath. 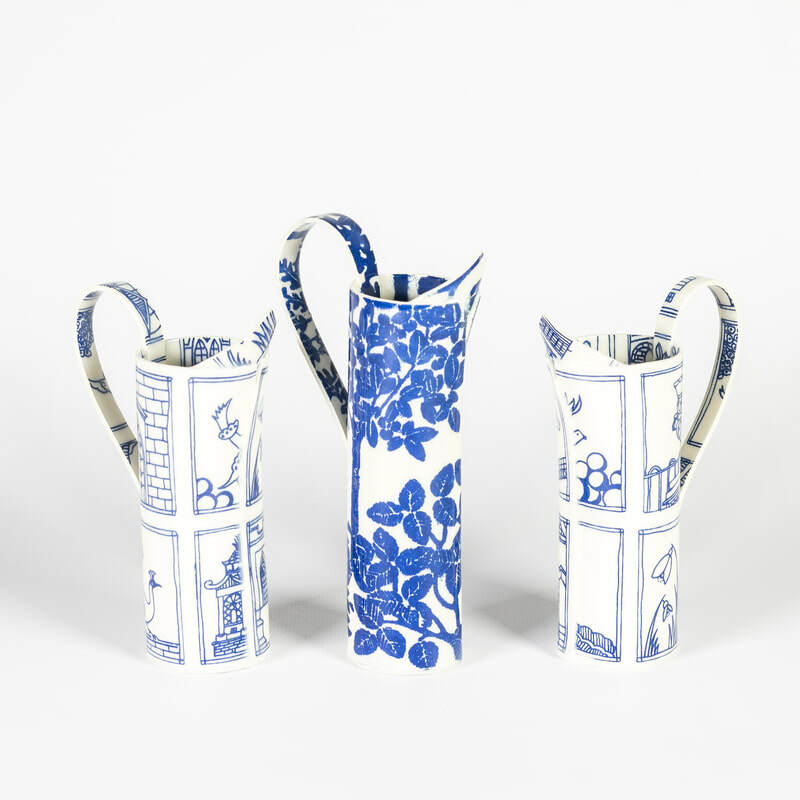 Janine takes her inspiration from ancient Chinese vessels and English vases. 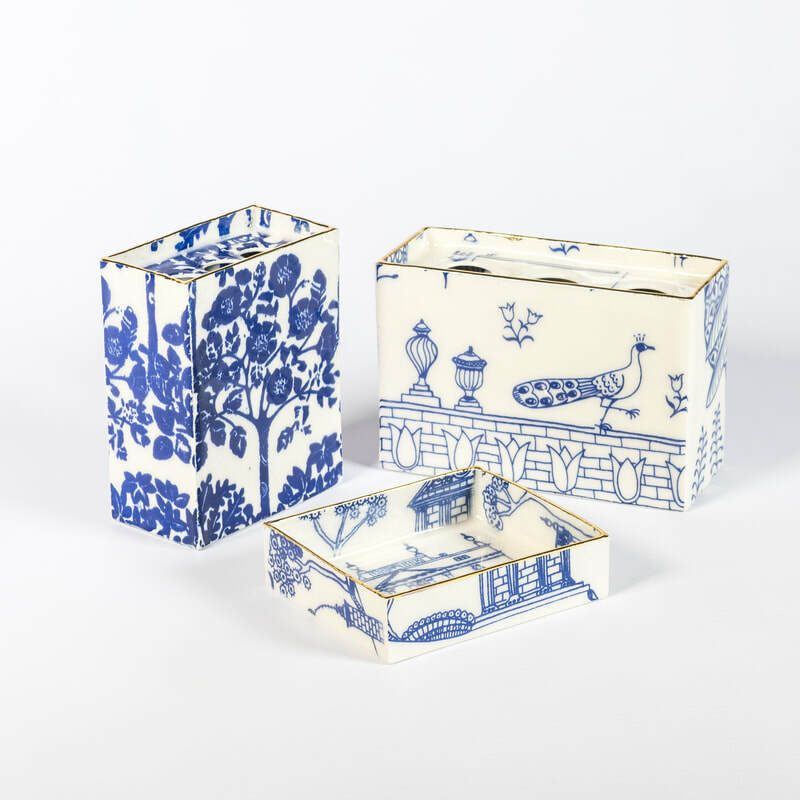 Her cups and flower bricks are inspired by 17th century Delftware. 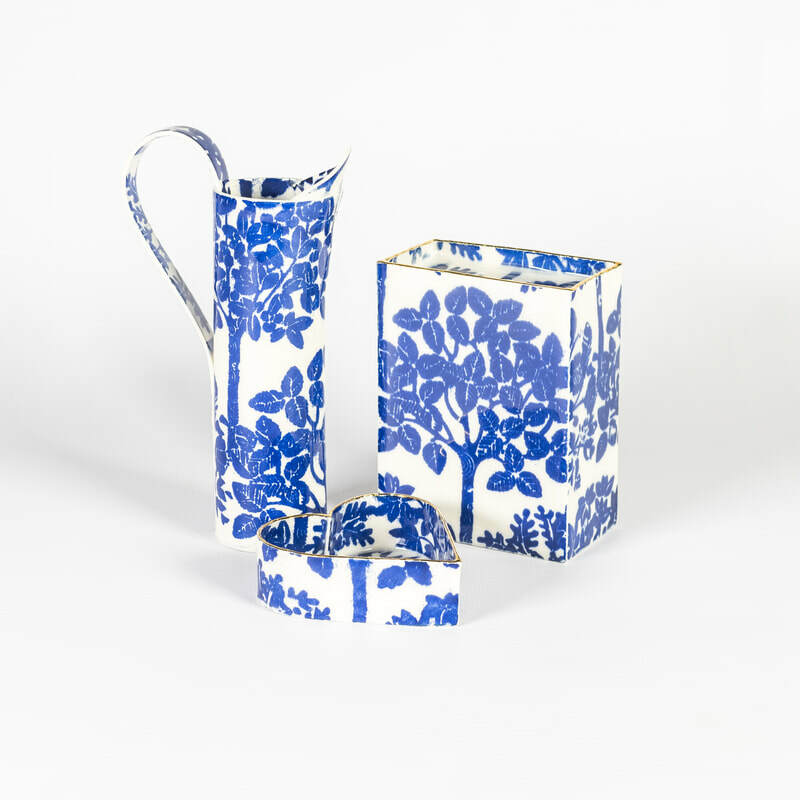 They are screen printed using oxides, mainly traditional cobalt blue. 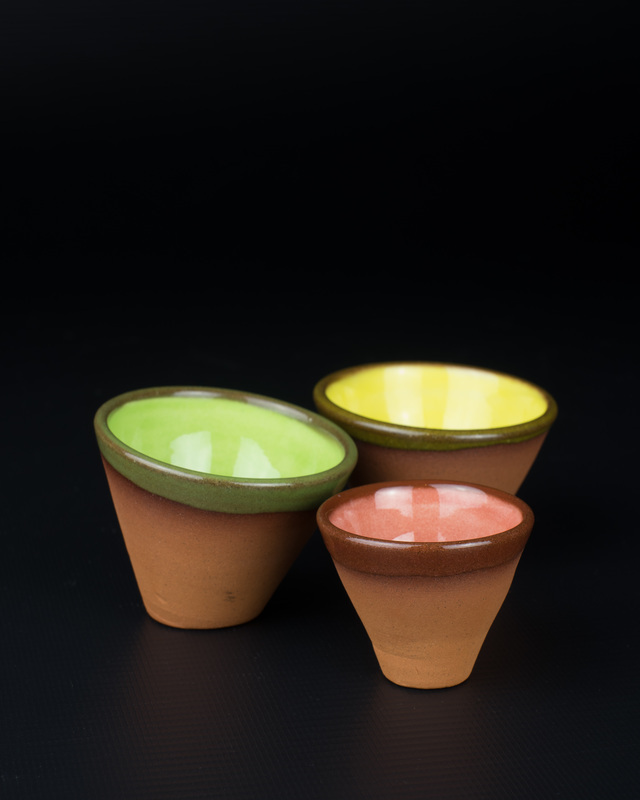 After the first firing they are glazed and re-fired so that the colours of the oxides shine through. Each piece is unique and they are individually screen printed and made completely by hand. 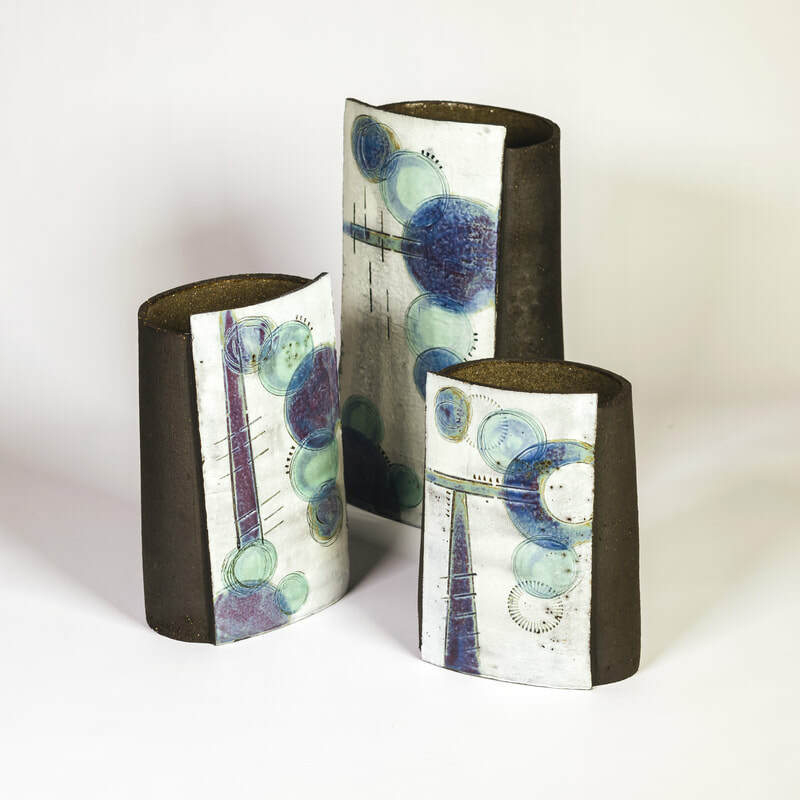 ​Mary Jonson Studied Craft at the university of Derby in 2009 going on to get an MA in studio ceramics from Loughborough in 2014. 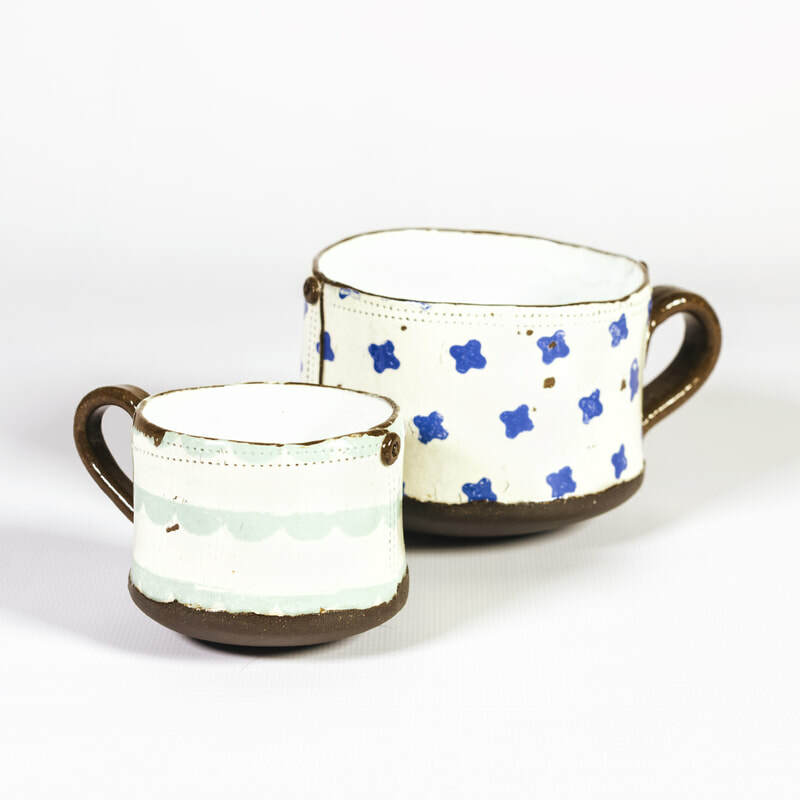 After graduating she went on to set up her studio in Derby where she makes her slip decorated earthenware.
" 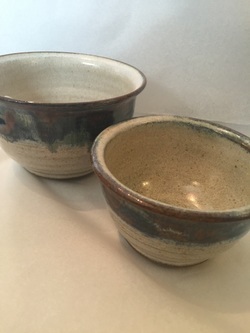 My ceramics have their roots in traditional country pottery. 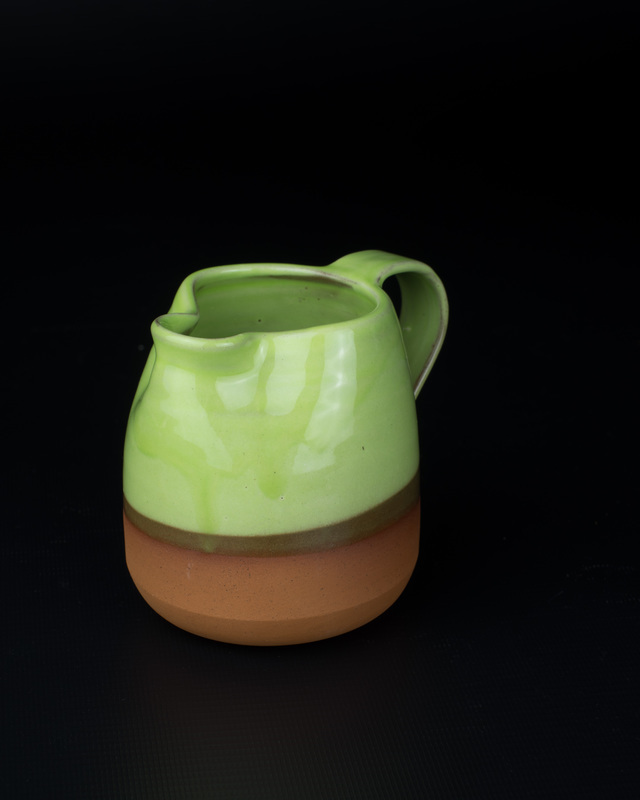 I love the rounded feel and rich colour of Devon jugs and Staffordshire slipware. I live in a modern urban environment where my relationship with the earth can feel distant at times. My pots reflect this complicated situation. 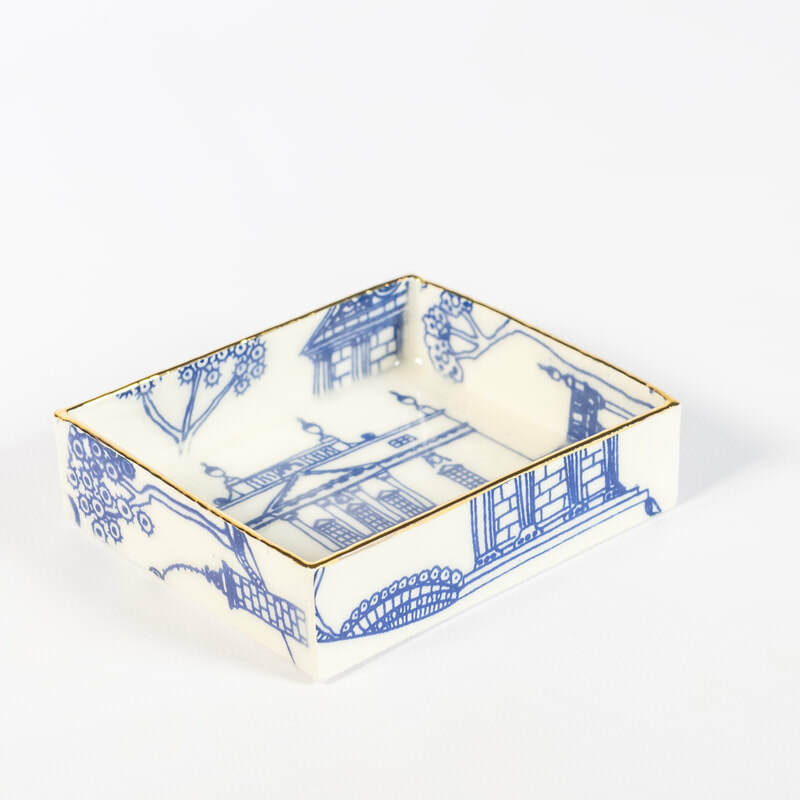 I apply decoration and images, based on my drawings and paintings of the cluttered back gardens and allotments of the city"
Liz makes, amongst other things, stunning ceramic light boxes that take you on a mysterious adventure down labyrinthine passages. Once seen these are not forgotten and many customers come back to buy one having not been able to forget their magic! Price range - ceramic sketches from £12 light boxes £325. 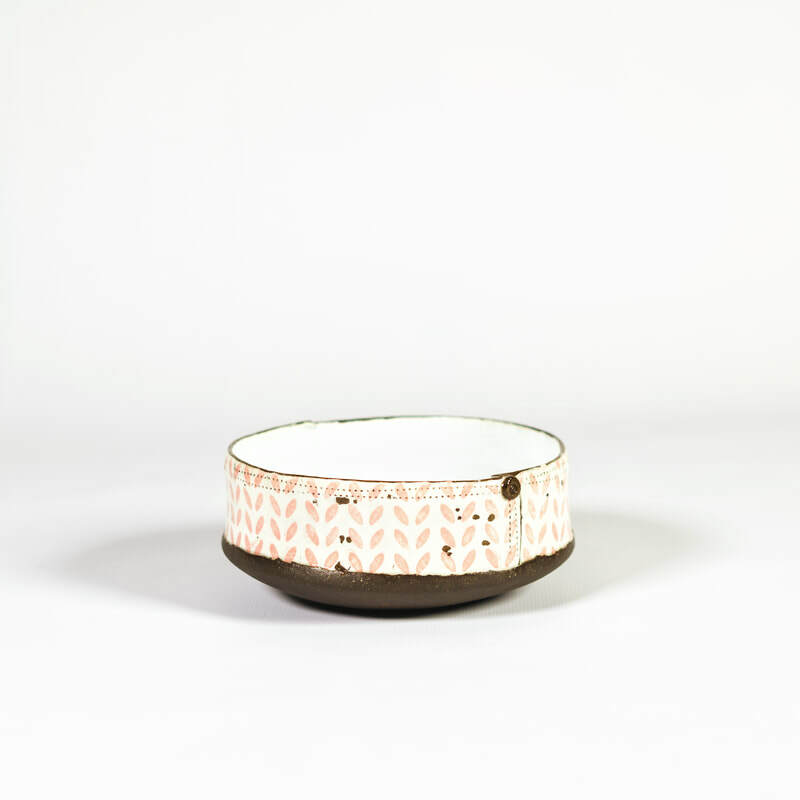 ​Emily designs and makes wheel thrown contemporary tableware in north London. 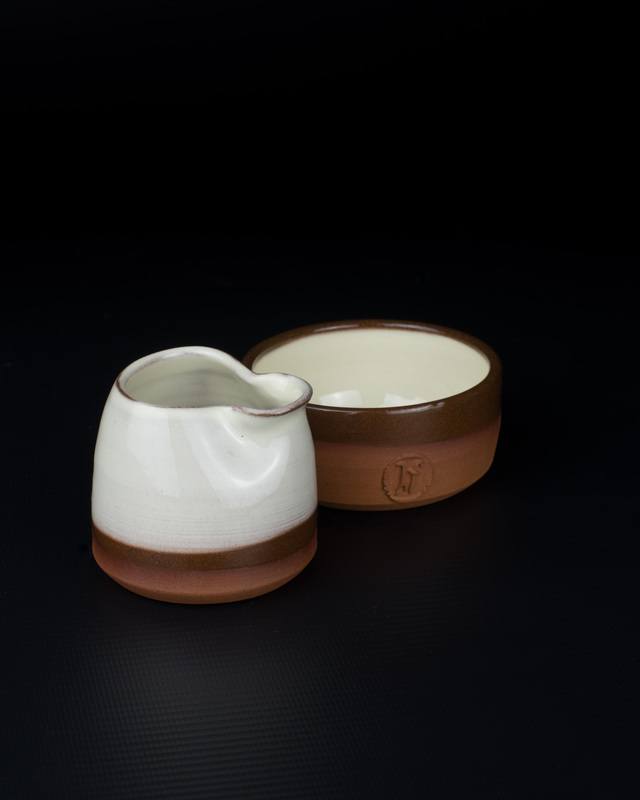 Her pottery is made by hand using traditional techniques and equipment, yet is designed for modern needs and living. 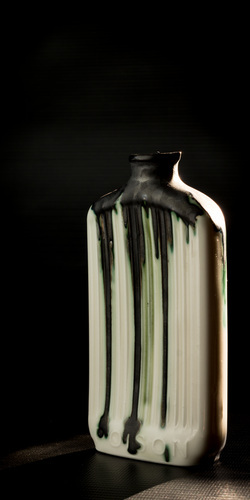 Each piece is thrown and then distorted or exaggerated directly on the wheel, creating tactile forms full of movement. Shapes are kept classic and simple and are designed for regular everyday use. 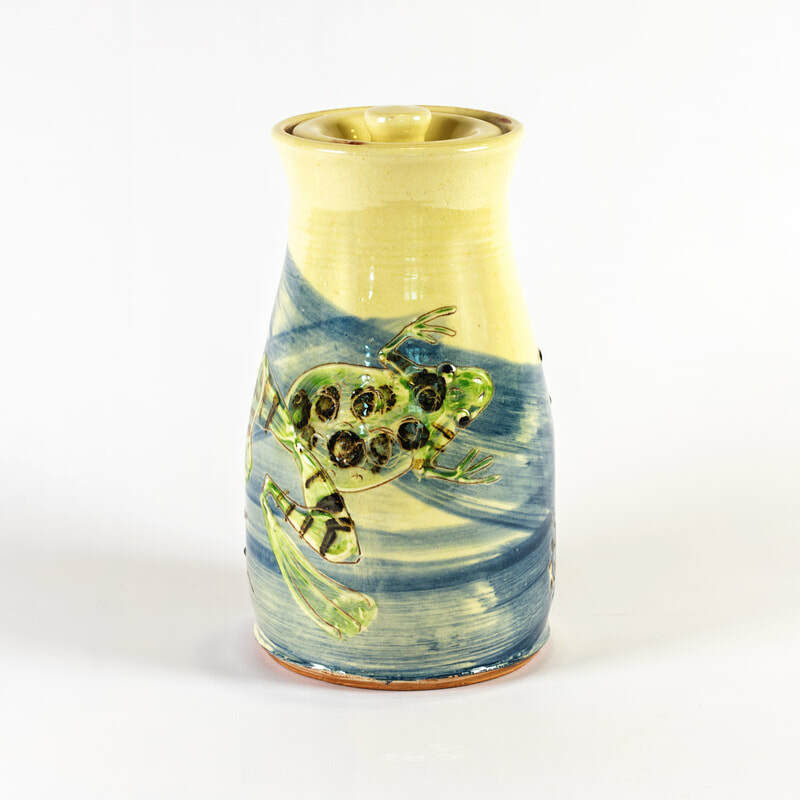 Emily loves to experiment and develop her own glazes and is continually drawn to the uplifting palette of the coast. 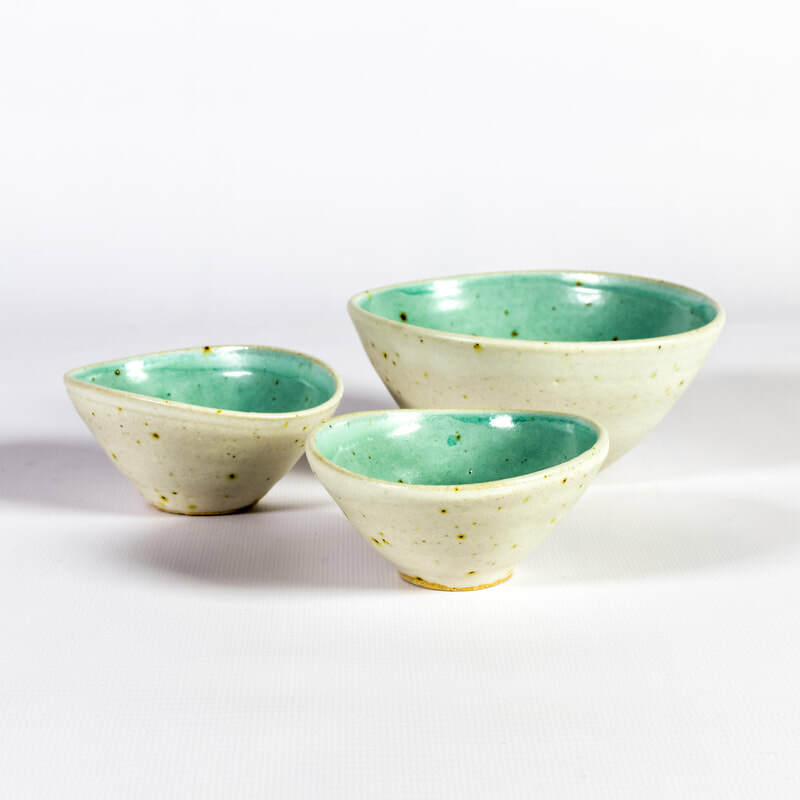 Her range of stoneware tableware is currently available in two colours, duck egg and speckled oatmeal. 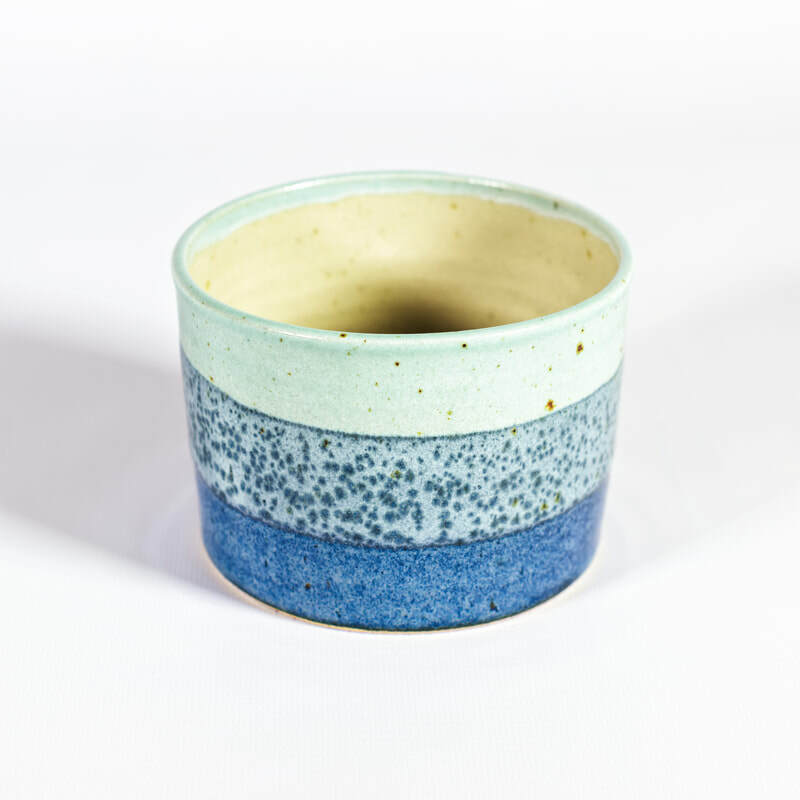 Katie has been working with clay for over 20 years now, she was first introduced to it by a very inspiring secondary school teacher who encouraged her to use all the facilities available in a very well stocked ceramics studio. 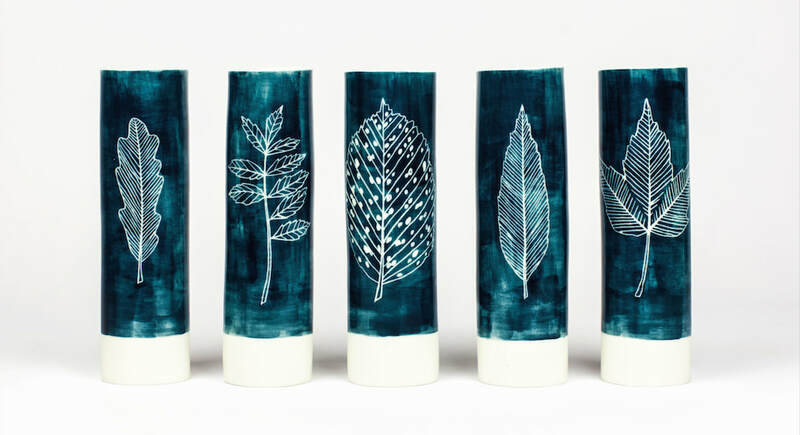 She received a BA(hons) degree in 3D Design (Glass with ceramics) from the University of Sunderland. 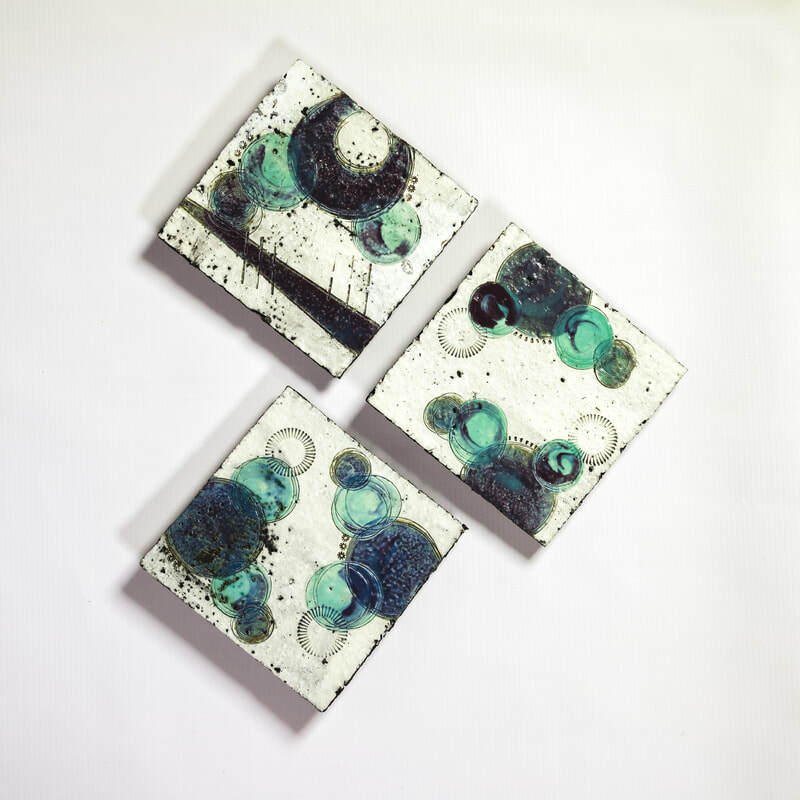 ‘Whilst I enjoyed working with glass as a material my heart was still firmly with clay and I wanted to learn and push myself more. So it was on to a Master of Art (Ceramics) course at the University of Wales Institute, Cardiff. This was a fantastic two years of truly getting to grips with the material and starting on a path that I would follow for many years to come.’ She then went on to teach but found as much as she loved teaching she wanted to get back to being creative, so decided to take voluntary redundancy. She went on a round the world adventure for four months. 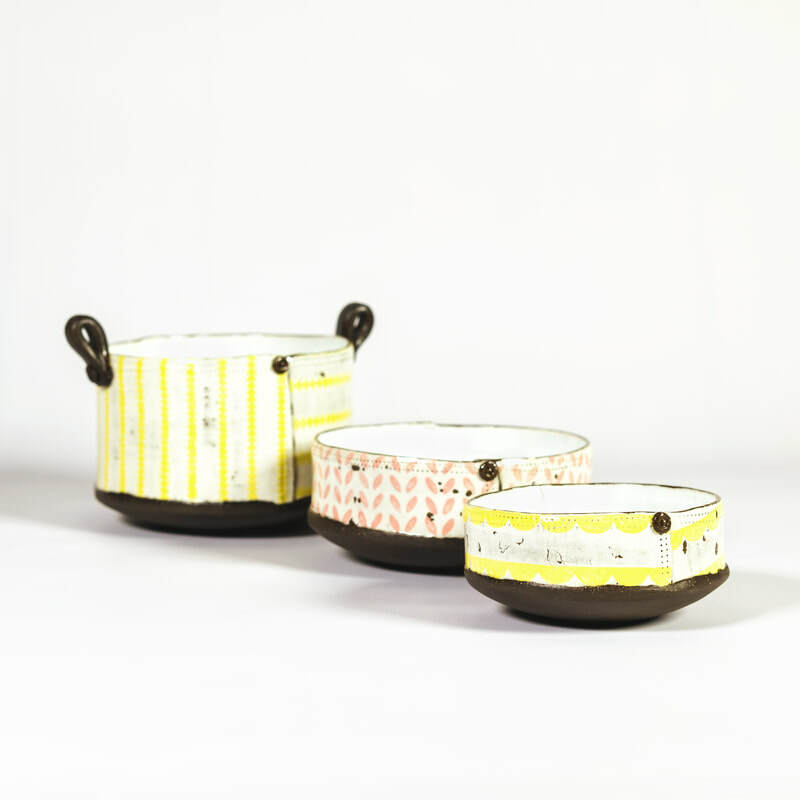 She then used her photographs as a starting point for designing and making, and launched her ceramic business in November 2013. 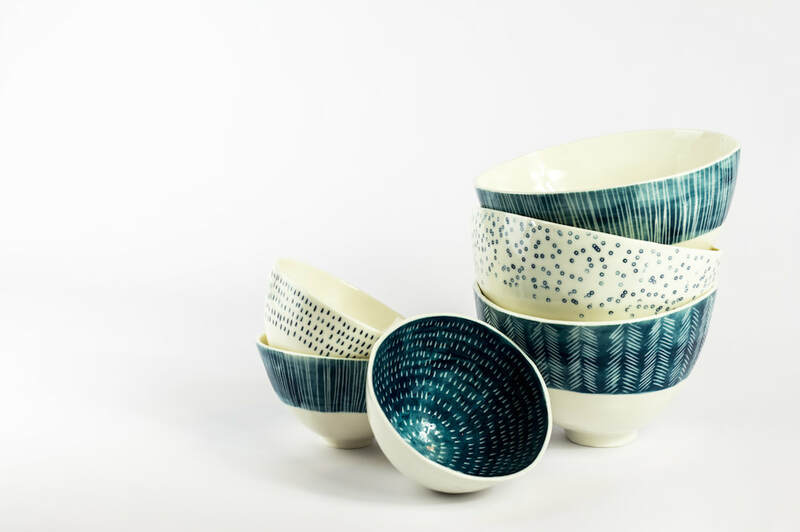 Katie's studio is based in Lancashire where she creates her vessels which are decorated with slips before being impressed with marks which are inspired by photographs taken whilst travelling extensively. She uses splashes of colour to highlight the texture and mark making before firing to stoneware. ‘Each piece is unique and is slab built with textured or chunky black clay and are, for me, a celebration of form, material and mark making.’ They will happily hold water if required. 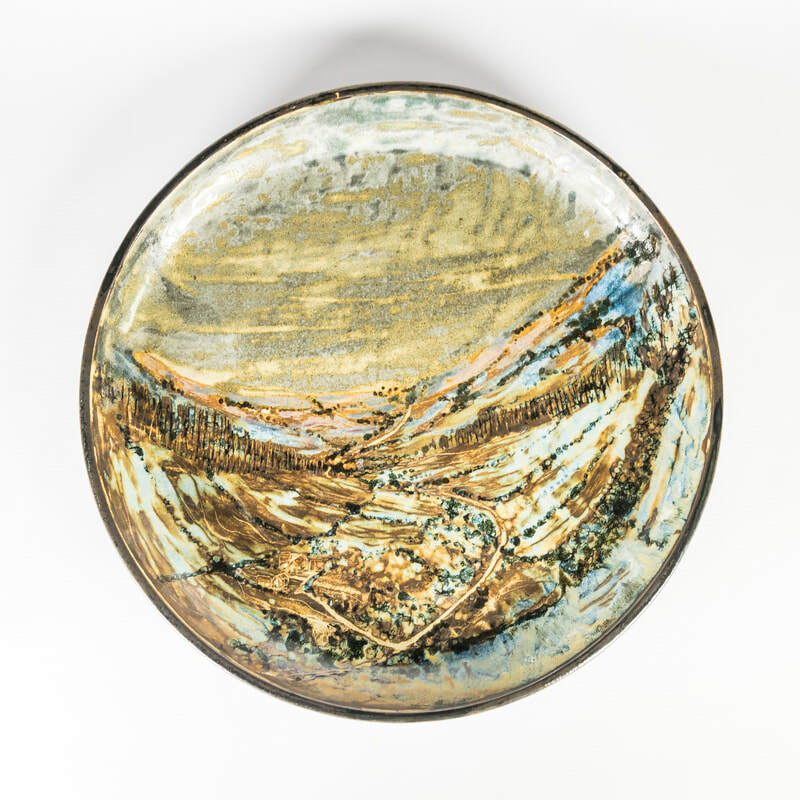 ​John Egerton set up Sneaton Pottery, near Whitby in 1966 and has since sold his stoneware around the country. 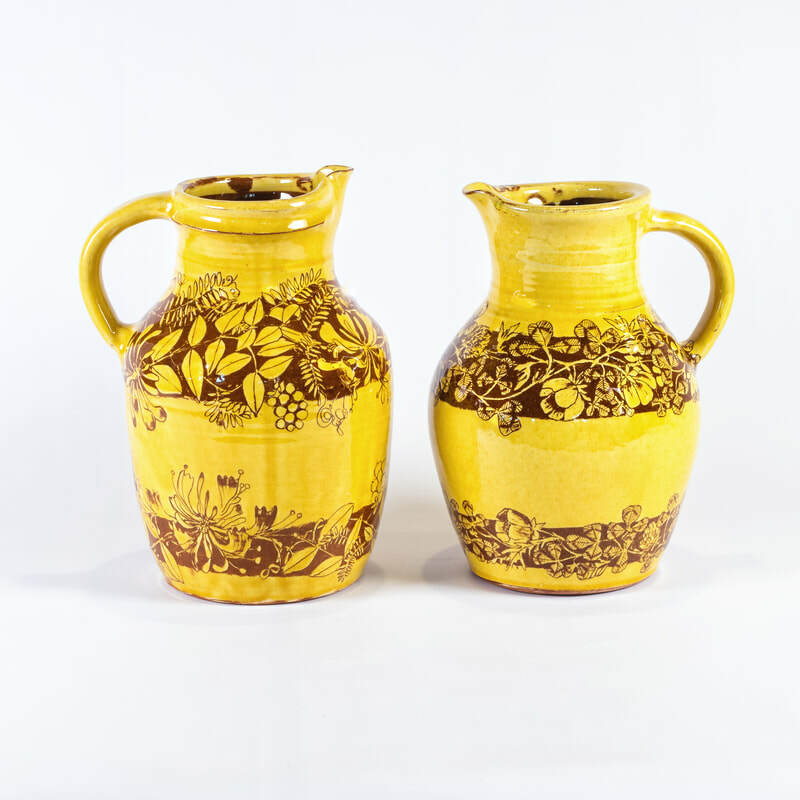 John makes individually decorated domestic, and one-off pieces of a functional nature, including lamps, vases, platters and jars. 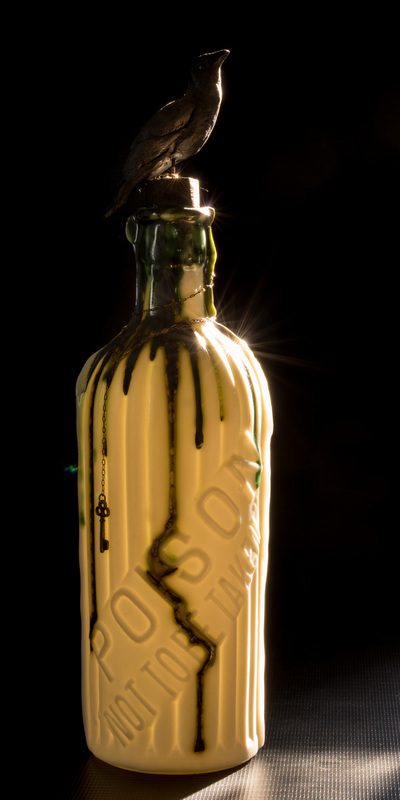 We have a ever-changing selection of John's work in The Gallery, so please visit us to see our full collection. 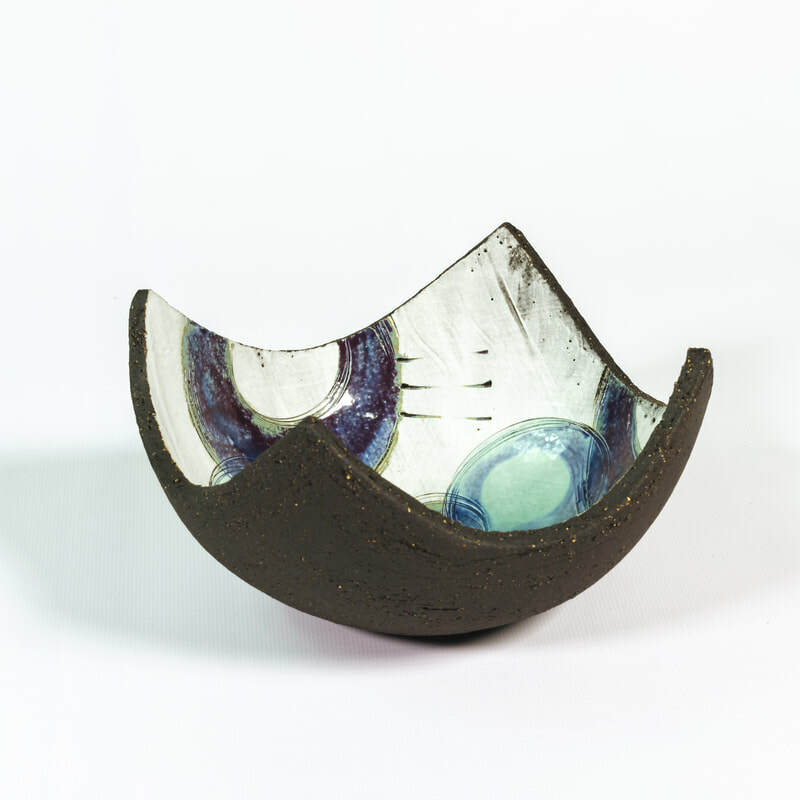 Originally from Belfast Helen initially studied Contemporary Crafts in England before beginning the CCOI Pottery Skills course, in Thomastown, Ireland, to improve the technical side of her work. She stayed in Thomastown for nearly 7 years but more recently moved back to northern Ireland to take part in the ‘Making it programme’. We have a beautiful selection of Helens work in the gallery prices range from £11 to £18. 'My inspiration comes from my love of pattern and colour, as well as hints to textile construction. 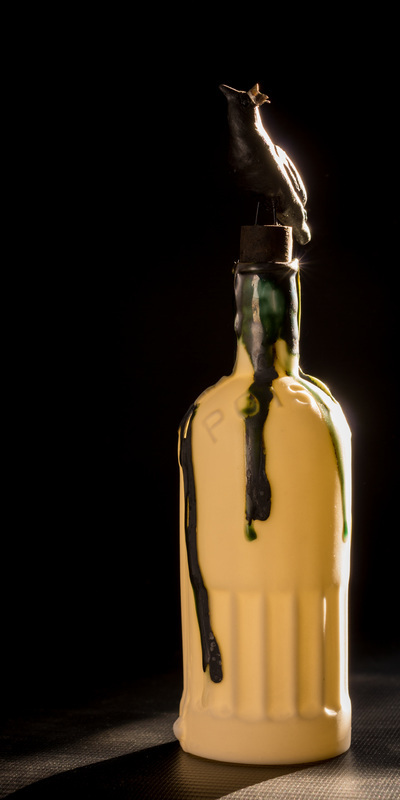 Though I did not go through any formal training, I have spent a long time experimenting with techniques best suited to applying pattern to the surfaces of my pieces.